I have a delicious kitchen tip for you today. We love nuts and seeds here and we eat them in small quantities every day. They are so good , full of protein, nutrients and enzymes. We eat them as a snack , as add-ins to salads and bread, I grind them to make nut butter and flours. Today I am going to show you how I prepare walnuts!! Not only are they delicious but this nut holds fun memories of my mother baking brownies and me cracking walnuts to put in them! even as a kid I had strong hands and my mom put them to good use! I am looking for locally grown nuts - that is something I can do for Pecans, Texas is famous for pecans, I will just have to wait a couple more months. As-is, nuts and seeds contain enzyme inhibitors. Enzymes are unstable, so they are locked up in the seed until they are needed. When are they needed? At germination and then as the plant grows. So, that’s what we need to mimic in our kitchens! A germination (aka soaking). Dehydrating the nuts is optional. It not only helps to return them to their enjoyable crispy state but if you keep your dehydrator below 115 degrees Fahrenheit, the nuts will be raw as well. And still rich with enzymes! Right now I use my oven, the process takes 24 hours but it is worth it. 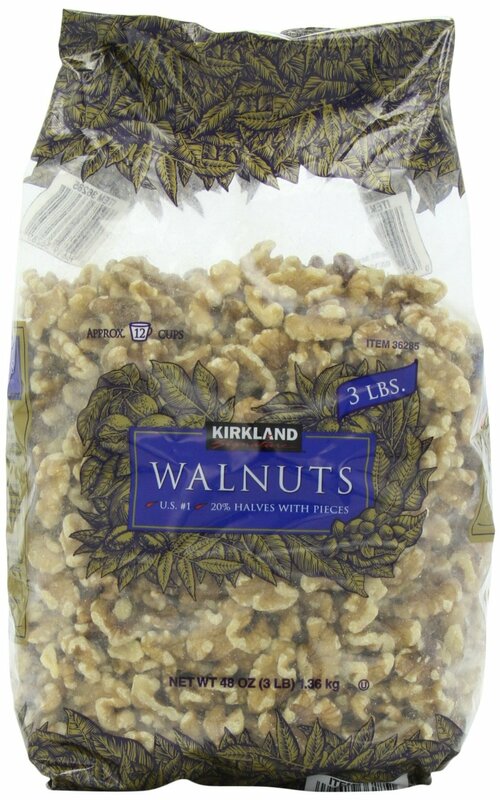 I can't eat a walnut without blanching and dehydrating, I instantly have a reaction in my mouth that is painful to all the soft tissue. It isn't a true allergic reaction (like my daughter). you wouldn't believe how gross the water is after I change it for the first time about 4 hours into the soak. It is full of debris and a gross murky color. 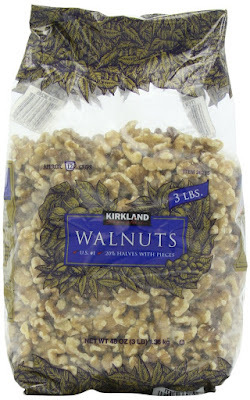 I have these beautiful nuts. they are light crispy and they oh so much tase better - no bitterness whatsoever! An Added plus, I can ueat these, they don't make my mouth blister! They keep perfectly in a sealed container in my pantry. I also do this with almonds. It is even more important with the almond because I grind them to make my homemade protein powder. I know this sounds like a lot of work and it kinda is but once I tried it I never went back to using the walnuts with out blanching and dehydrating. It is worth the effort. PS if you are intrested I am working on putting together my homemade protien powder recipie, I'll be posting that soon! Mocha Maca Afternoon Power Drink - YUM! Hoops and frames, a comparison. Heart Healthy breakfast or snack.